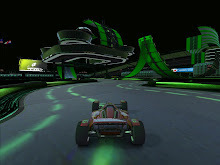 We finally learn when TrackMania 2 will be released. According to the official website, we can look forward to having an enjoyable September this year. I think I will celebrate this news by firing up Trackmania United now! Guess I'll be pre-ordering 2 copies since that will be around d6Amefath3r's birthday.